Dolphins swim and spin all along the seashell dappled shores of Six Senses Laamu, the only resort in Laamu Atoll, just five degrees north of the Equator. Snorkel in Laamu’s coral rich house reef among Oriental Sweetlips, parrotfish and even green turtles. 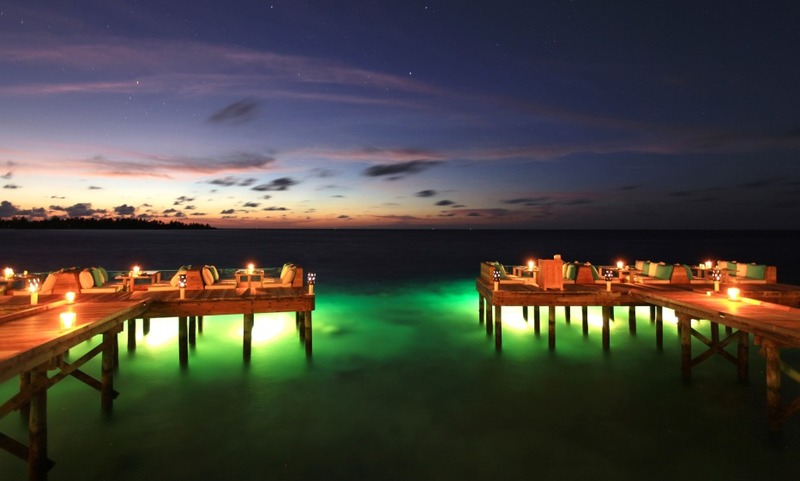 Enjoy the rustic woods at Laamu’s six bars and restaurants, most set over water. Recline under the stars at the Jungle Cinema with warm popcorn.